If you’ve always wanted to take advantage of the exceptional savings that only a Costco membership can offer, consider this your invitation to join the club. Valid for new members only. Not valid for those with a current Costco membership or for memberships that expired after October 1, 2015. 1. Complete your purchase on LivingSocial. 2. Receive your voucher from LivingSocial and redeem it online. 3. You’ll get an email with a Costco Membership Activation Certificate to print. 4. Bring the printed certificate to your local Costco to complete your membership application. 5. 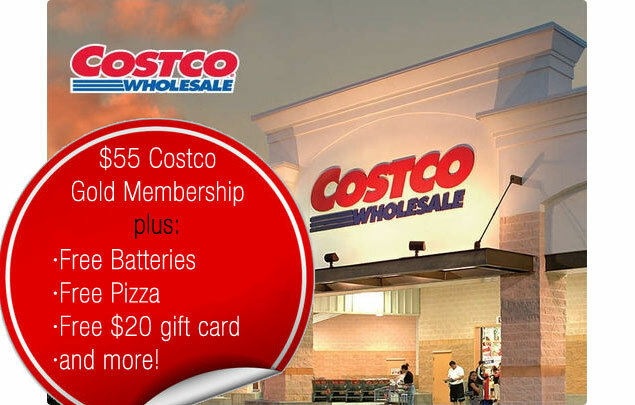 Receive your Costco Cash Card at the time of signup (new members only). * Coupons will be mailed within 4 weeks of voucher redemption. Too bad current members aren’t offered any perks!